Few boats offer the combination of flexibility, capability, and elegance the way the Pershing 50 does. With it's exhilarating speed and handling paired with a pedigree few yachts can match this Pershing can be a great fit for a bachelor or family alike serving the roll of Bahamas cruiser or local rocket equally well. Let this plush rooster tail machine whisk you away for the day or for the weekend in a way only a Pershing can.With recent service to the engines, generator, and air conditioning this boat is ready to move on to its next owners and offer an amazing experience in one of the designs that changed performance yachting as we know it. United Yacht Sales New Jersey would love to guide you through a personal showing of this 51' Pershing 50 2005. 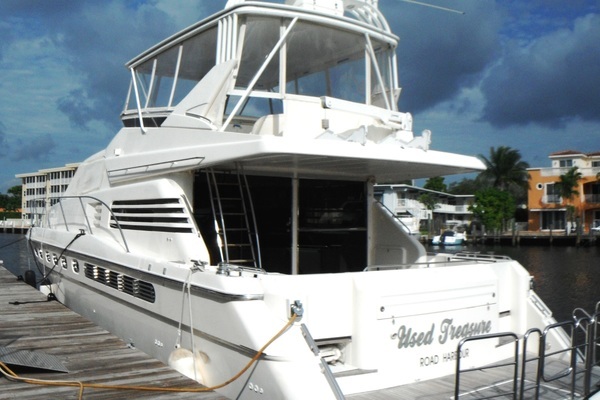 This yacht for sale is located in Aventura, Florida and priced at $379,000. For a showing please contact us by filling out the form on this page and we will get back to you shortly!